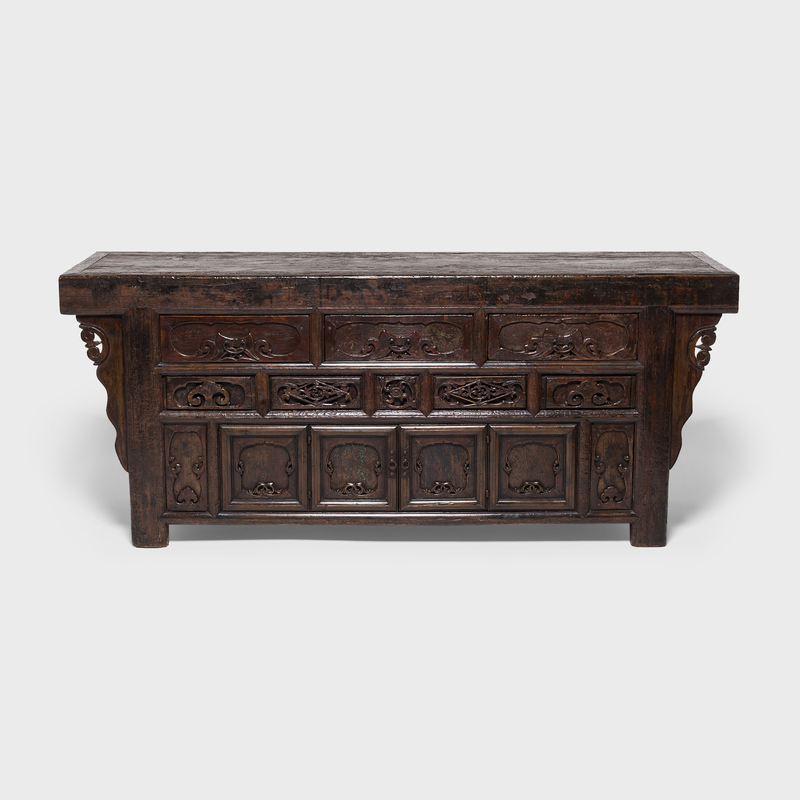 W: 62.75" D: 19.5" H: 38.75"
This beautiful chest is a classic Qing Dynasty design handcrafted in Northern China out of Elmwood. 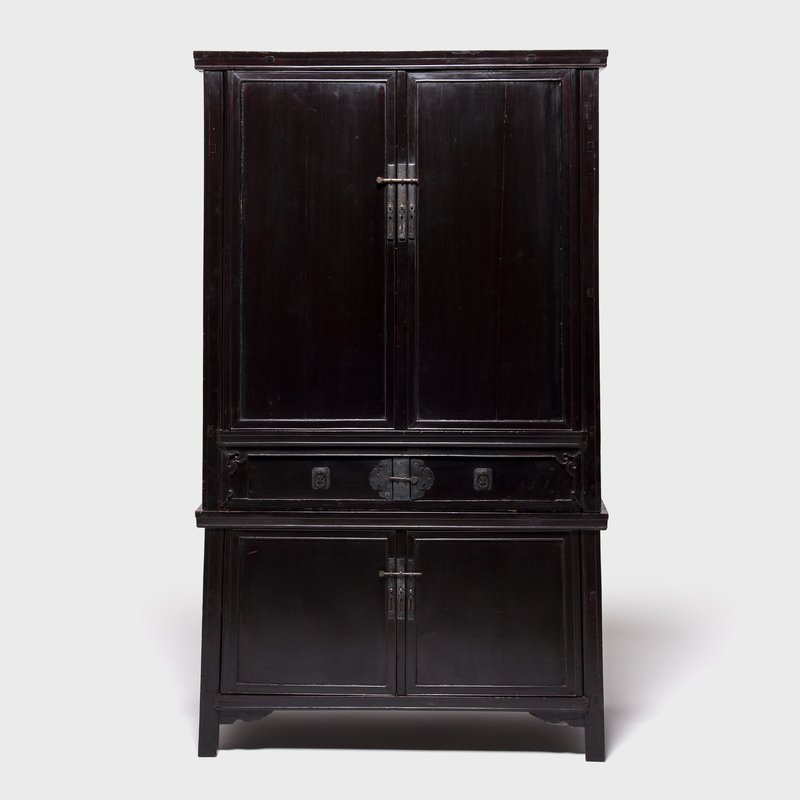 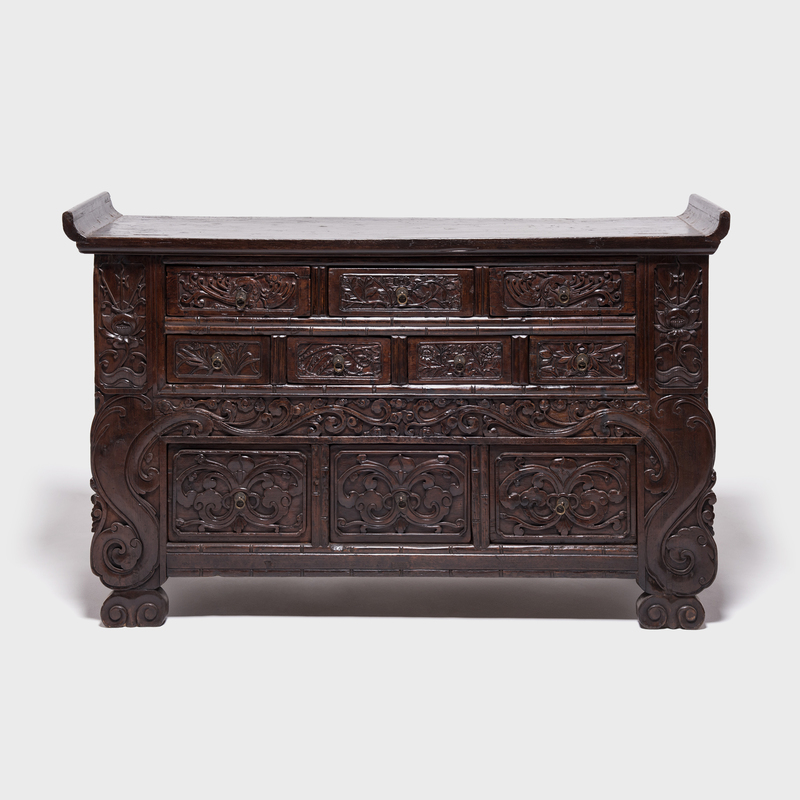 The quality of the workmanship is evident in the beautifully carved drawer fronts. 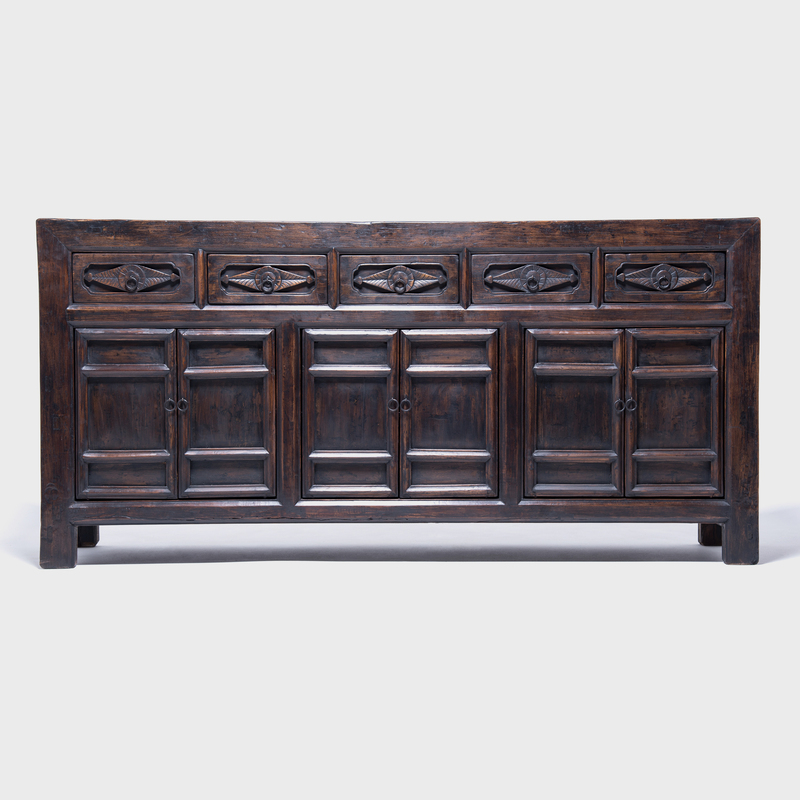 The scrolling vine and lotus symbolize purity because the flower rises out of the mud to bloom. 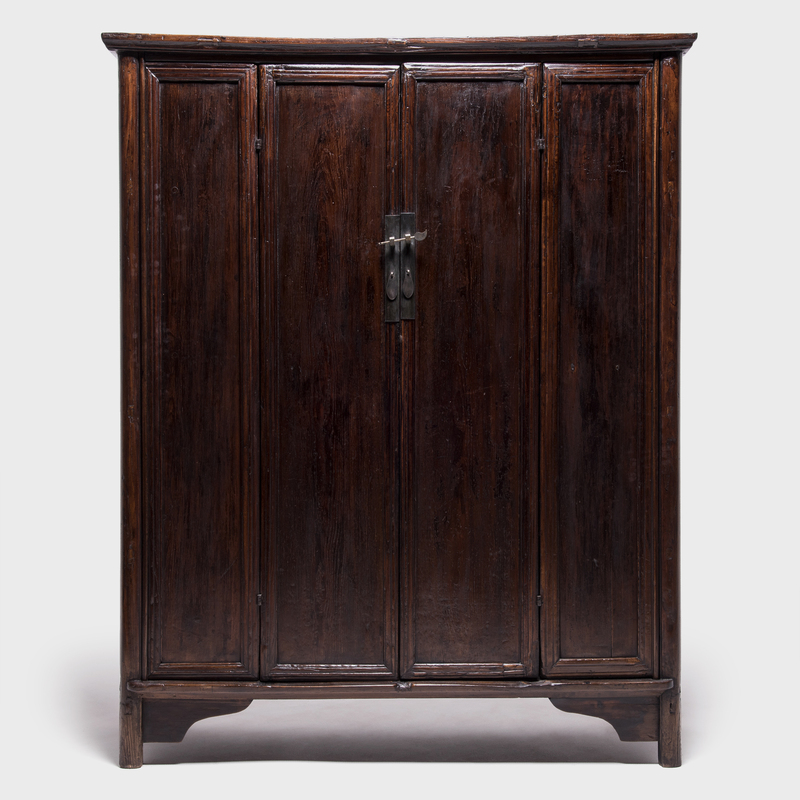 It may have once been used for storage in a woman's sleeping quarters, filled with silks, curios, and other personal items.